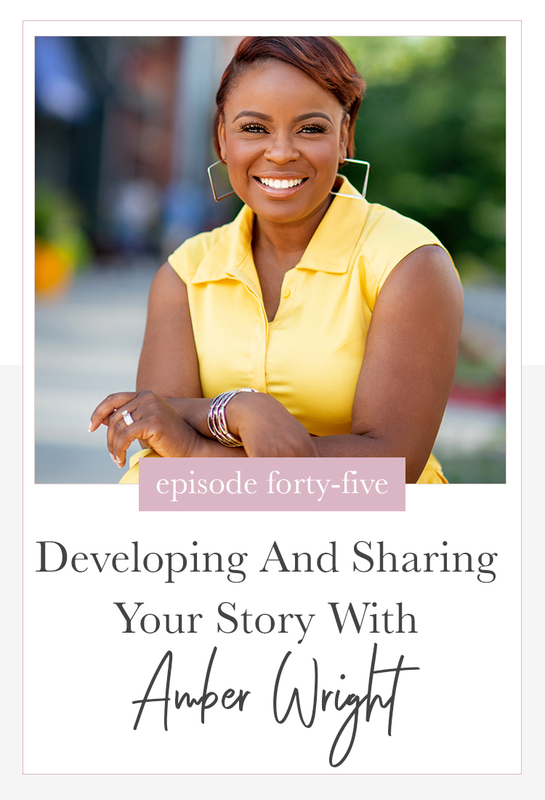 In this weeks episode I chat with communication coach, consultant, and owner of Words Well Said, LLC, Amber Wright. We discuss her journey from hustling working two jobs at a local university to taking her business full-time, her advice for women who want to become comfortable telling their story and what she would go back and tell her 19yr old self which is exactly what i wish someone would have told me many years ago! "When you know who you are then that compels you to be able to say who you are and show up as that person in every area of your life." Read Amber's book, "Can We Talk"
If you enjoyed this episode, take a screenshot while you're listening and share it with us on Instagram!